Today’s markets are not what your father and mother may remember. The growth of automation, algorithmic trading, and lightning fast price movements have created an unpredictable market monster that can turn on a dime. Factor into that equation the seemingly endless flow of cash from the U.S. Federal Reserve since the credit crisis emerged, and we’re left with volatile markets now hovering at nosebleed heights. Whether you’re a risk-taker or not, the current investment environment is one that has even the most astute investors on edge. How can you stay the course with your retirement portfolio fully invested and still sleep easy at night? There is a way… through principal-protected investing. 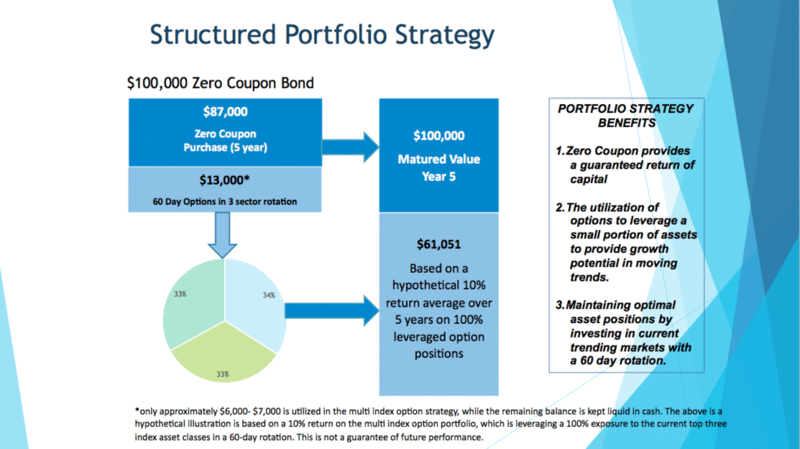 Because zero coupon bonds are issued at a discount to their face value, we will have excess capital to invest. The remaining funds are then used to purchase options using our proprietary investment strategy that are linked to specific equity indices. By purchasing equity-linked options you spend less money but still control the same number of shares. This allows us to gain maximum market exposure, but without you having to worry about losing your nest egg. First, we guarantee the principal over a pre-defined investment period of your choice; 3, 5, 7 or 10 years, by investing in zero coupon bonds issued by the U.S. Treasury with a specific maturity date. 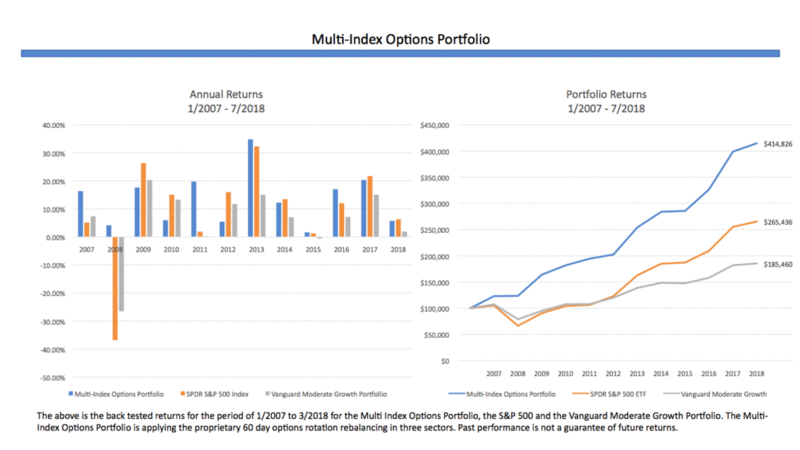 Next, we take the remaining principal and select an equity index ETF options portfolio that is weighted and rebalanced bi-monthly. The index selection and weighting is calculated using our proprietary model to target optimum performance. The truth is, all investment decisions entail a tradeoff between risk and reward. Maintaining discipline and focus on your investment goals can be unnerving these days, especially during periods of extreme market volatility. 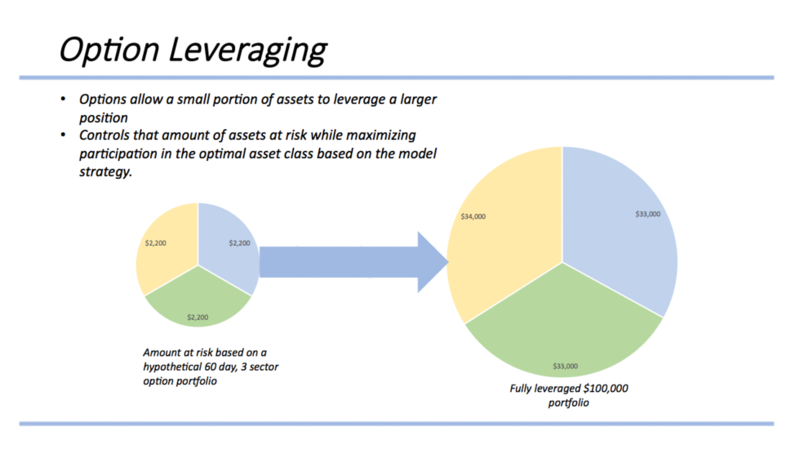 For many investors, finding the optimal balance between risk and reward is one thing. Having the fortitude to maintain that balance during tumultuous times over the long haul is something else altogether. By using a principal-protected strategy, you can achieve your investment goals with the peace of mind in knowing your initial investment is protected over the period you select. This unique strategy can give you the growth-oriented investment profile you need, while keeping your principal nest egg safe over the course over your invested time horizon. 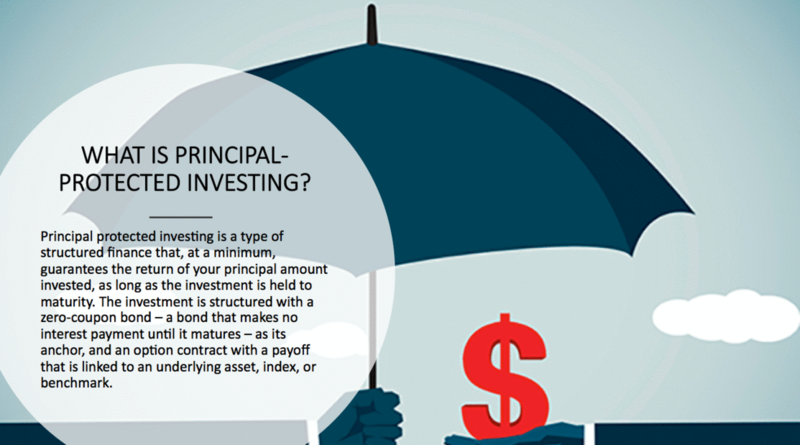 Find out if Principal Protected Investing is Right for Your Portfolio.